Donna offers a safe space for pregnant students to calm the nervous system and build or restore a solid connection between mind, body, and baby (or babies). She began her yoga practice in 2002 with her middle school history teacher. In July 2017, she completed her 200-hour yoga teacher training at Sacred Sounds Yoga and has a Trauma Informed Outreach certification from Connection Coalition. 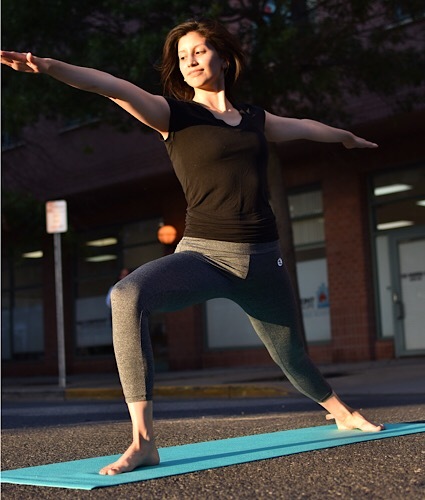 She is a recent graduate of PYC’s 85-hour prenatal yoga teacher training and is eager to share her love of yoga and growing knowledge with her students. Donna also volunteers at Every Mother Counts and completed the full spectrum doula certification at Ancient Song Doula Services. She is passionate about maternal and infant health and believes that yoga is one of the many ways to mindfully connect to your baby or babies during pregnancy. Donna looks forward to seeing you on the mat, and sends love and light your way!